50 tonne hydraulic jack with separate pumping unit fixed to it a 0 - 500KN x 0.5KN. Pressure gauge and flexible metal pipe 5 mtr. long. Special ball and socket arrangement between the jack and the bearing plate. Extension rod 12mm dia x 25 cm long for taking dial gauge readings. Magnetic base with female thread on top for holding extension rod. Experts offer Plate Load Testing service and ensure that the provided data is completely accurate. We work carefully and offer satisfying service of testing. Moreover to this, we take minimal time for completion of testing work. With rich industry experience & knowledge, we have been able to provide Plate Load Test Service. We also have facility for testing as follows. 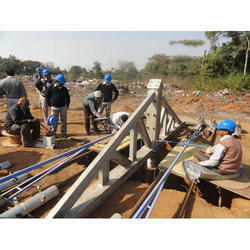 - Pile integrity test at site. Experts offer Plate Load Testing service and ensure that the provided data is completely accurate. We work carefully and offer satisfying service of testing. In order to cater the different requirements of our patrons, we are immersed in providing the services for Plate Load Test. 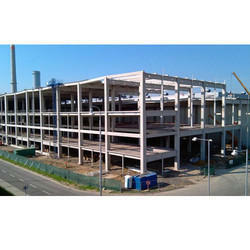 These services are provided by us under the command of skillful personnel in tandem with industrial standards. In order to earn the faith of our customers, we impart these services within the assured time period.